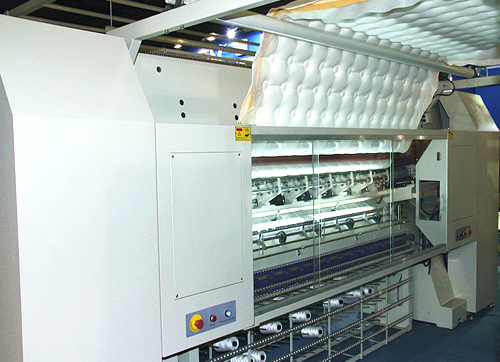 HY-W-JH High Speed Computerized Chain Stitch Multi-needle Quilting Machine is widely used for quilting high-quality mattresses, quilt covers, and household ornaments. Different patterns are available. 1. 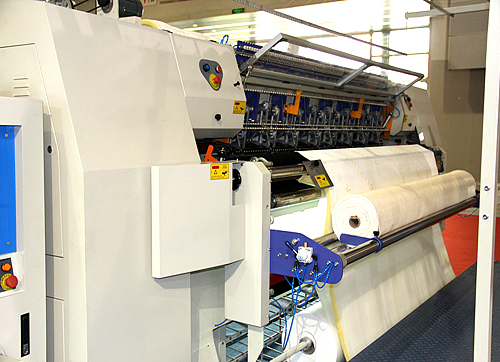 Needle bar and press plate are controlled by a double- swinging device without cam avoiding lubrication and dirtying of material. 2. Multi-span and independent patterns(360°and 180°patterns are available). 3. 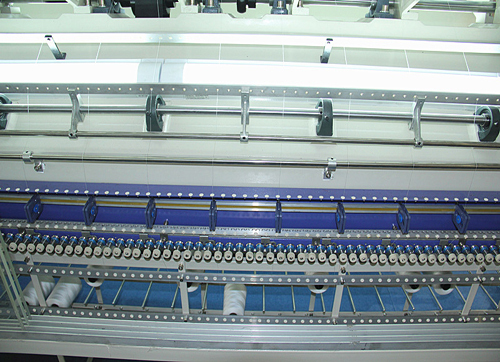 Automatic stop motion control in case the top thread or the bottom thread breaks，automatic needle-lifting and CNC speed adjustment. 5. 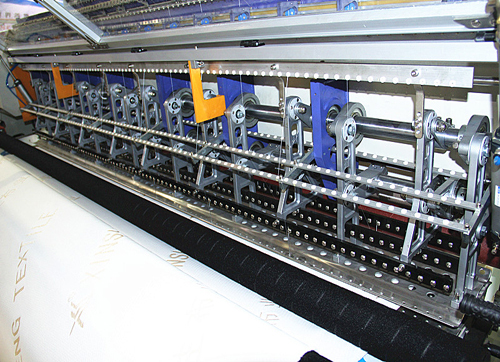 No need to adjust the press plate' s position when the thickness of quilting material varies. 6. 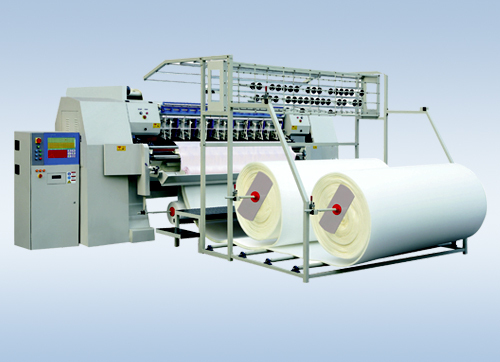 Outstanding features such as high rigidity, high running speed, low vibration and noise. 7. CNC precision control system. 8. 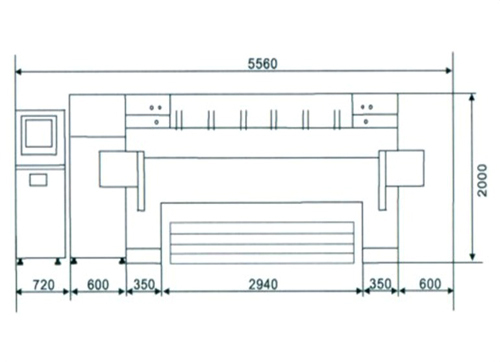 Easy preparation of CAD drawings extremely precise. 9. 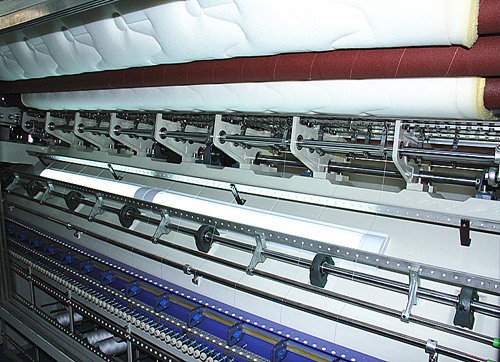 Strong functions of pattern-combining and multi-span quilting to enable you to quilt different patterns in each row in the mattresses of different sizes. 10. Fault detection function for ease of determining the running state of the machine at any given time.